Green Meadows Beef, 100% grass-fed, free-range, export–quality Angus beef from South Taranaki, has responded to increased demand for their beef by making it available in two North Island food stores. Moore Wilson in Wellington and Fresha in New Plymouth are now both stocking a wide variety of Green Meadows Beef, from Scotch Fillet and Rump Steaks to Premium Beef Mince. Moore Wilson will publicly launch Green Meadows Beef at an in-store tasting event on Sunday, 7 April from 10:00am to 2:00pm. Wellington chef, Liam Brash, who has worked at The Savoy in London, will be cooking up a variety of gourmet bite-sized beef treats for the public to try. 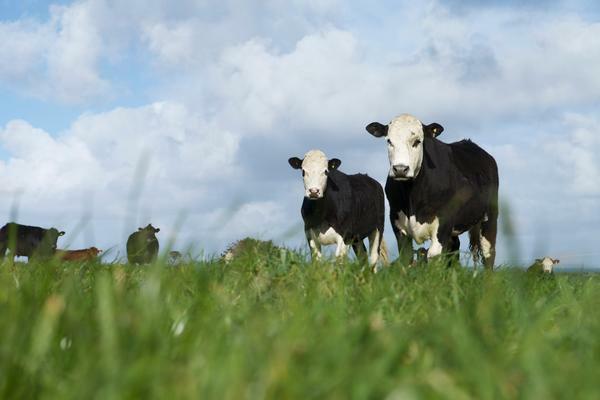 Green Meadows Beef Directors, Michael and Nick Carey, will be on hand to answer questions about the different cuts of beef and the Green Meadows Beef way of farming. The Fresha launch event will take place in-store on Saturday, 13 April from 10:00am to 2:00pm. The Carey Family will again be in attendance to meet customers in person and showcase the different cuts of Green Meadows Beef. “We are proud to be able to offer our customers the finest Angus beef that Taranaki has to offer,” says Stephen Shaw, Fresha Food Store owner. The Carey family founded Green Meadows Beef after realising that the best New Zealand beef is exported and never made available to the local market. All animals are reared ethically, fed their natural diet and allowed to roam freely. They receive the best of care, which includes drinking household quality water from troughs filled by the local Cold Creek community water scheme. For more information on Green Meadows Beef, visit www.greenmeadowsbeef.co.nz. Green Meadows Beef can also be found on Facebook, Twitter and Pinterest. For further details on Moore Wilson’s and Fresha, visit www.moorewilson.co.nz and www.fresha.net.nz.